Auto Body Repair Shop | New Bedford, Fairhaven, MA | Sparky's Collision Inc.
You don't have the time to work with a New Bedford, MA auto body repair shop that takes forever to repair your vehicle. After you get into an accident, bring your vehicle to Sparky's Collision Inc. With 35 years of industry experience, our team will repair your vehicle expertly and in a timely manner. We can work with you whether it be through out-of-pocket costs or through an insurance claim. In fact, we're a preferred auto body repair shop for many insurance companies in the area. We can perform repairs on cars, trucks and motorcycles. You can count on us to repair anything on the exterior of your car, from bumper to bumper. Reach out to us today for auto repairs. We'll have you back on the road in no time. Our professionals can repair any part of your vehicle's exterior, from bumper to bumper. Whether a complete or partial paint job, we'll make sure the new paint on your vehicle matches the former paint exactly. 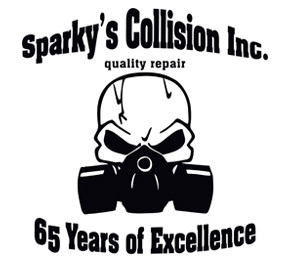 Get in touch with Sparky's Collision as soon as you get into an accident. We provide a variety of reliable repairs. Don't let rust dull your vehicle's shine. Come in today for a free estimate on our rust repair services. You don't have to worry about us cutting corners. We work hard to repair your vehicle properly so you can drive away completely satisfied. We offer free estimates on our services. Contact us right away to discover the difference our experts can make on your vehicle. We pride ourselves on offering the best prices for auto body repair work in New Bedford, MA. We keep our rates competitive so you can get your vehicle repaired at a reasonable price. Get in touch with us now at 508-995-4655 to learn more about our pricing and services.